Whether for weeknight meals or last minute dinner parties, these five-ingredient recipes will save you time and money…and they’re delicious too! Philia Kelnhofer (aka ‘Phi’) started her food blog sweetphi.com as a place to share her favorite recipes with friends and family. 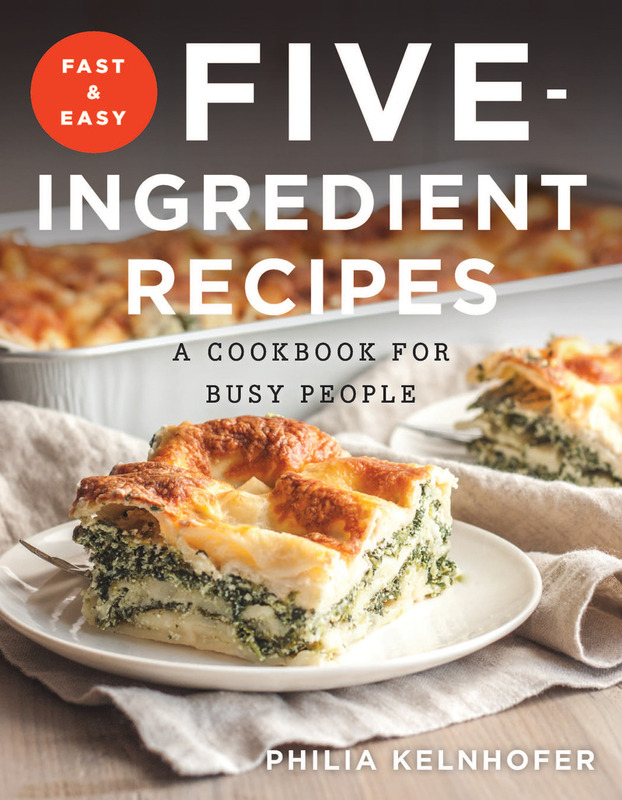 After getting numerous requests for more of her five-ingredient meals, she introduced Five Ingredient Fridays with the simple belief that "five ingredients is all it takes to create fantastic dishes." A native of Chicago, Phi attended graduate school at Cornell University in New York, has lived in North Carolina, and now calls Milwaukee, WI home where she lives with her husband and their dog. Although she works full time, her passion is cooking and showing people that delicious food doesn’t have to have a bazillion ingredients or be intimidating to make. She knows the true meaning of being busy yet still wanting to make a delicious meal.